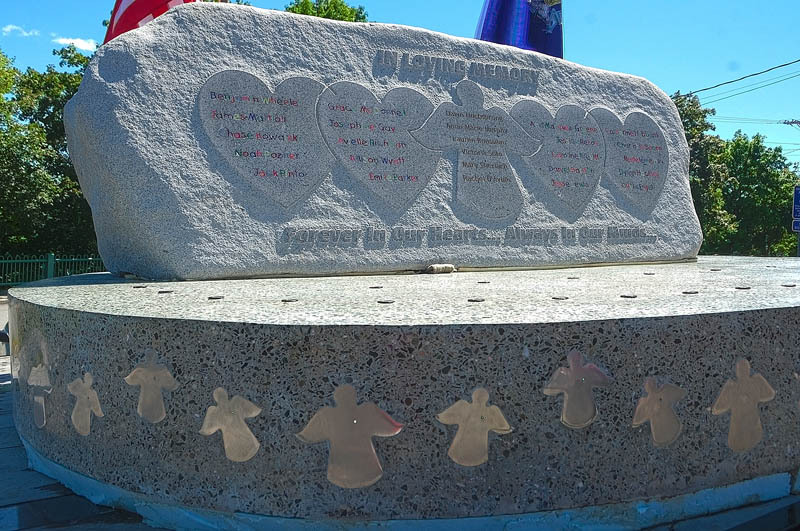 A monument with angels bearing the names of the 20 children and six adults killed in the massacre at Sandy Hook Elementary School in Newtown, Conn., last December, stopped in Augusta today. The “Rock of Angels” memorial, built by Adam Meyer of Cutler, from Maine Coast Creations, and Brian Harkins of Harkins Masonary in Trenton, was at the Hartford Fire Station in Augusta. 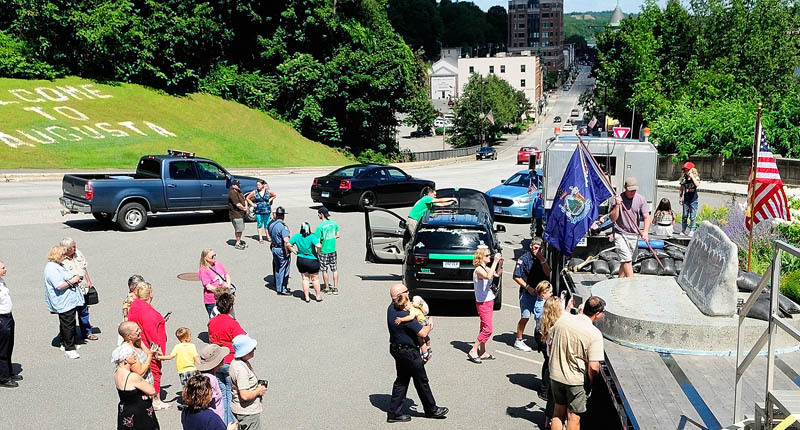 The monument is on its way south from Cutler, Maine, to Newtown, and is making a number of stops. More information about the memorial is available at MaineLovesSandyHook.com.